WHAT STYLE SUITS YOU ? Thanks so much for all your patience and help. Trevor was friendly, easy-going, and tried to give us the best deal possible. Happy with my service overall!! A wonderful buying experience! Kay in Online Sales made the process quick and painless. The van we purchased at a great price arrived in perfect condition. I was wary of the online purchasing process because I couldn't see the vehicle in person. When I voiced these concerns to Kay she was able to connect me to the owner of Classic Chariots and he reassured me of the quality of the van and the professionalism of their business. Kay is the best! She was amazing and got me the best deal on my old car AND my new one. If you have any car needs - buy or sell, go see Kay! I am a customer for life! Finding a reliable, honest used car dealership near Oceanside is as easy as coming to Classic Chariots. Our well-trained, well-qualified staff is on-hand at all times to make sure you have the best experience possible when you’re looking for a used car dealership near Oceanside. 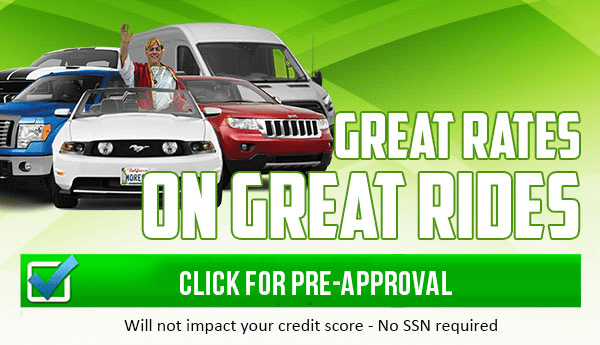 By going to a used car dealership near Camp Pendleton like Classic Chariots, you are able to rest easy knowing you are getting a safe vehicle at an honest price. In addition, used cars have a much lower depreciation value than a brand-new vehicle, which is a big selling point for buying pre-owned. Our knowledgeable sales staff at Classic Chariots, of Vista can help you figure out which one of our wide selection of vehicles would best suit your lifestyle and automotive needs, while at the same time, our financial analysts are around to get you the most affordable car loan near Oceanside as possible. And finally, our friendly, helpful staff of customer service experts are available to make sure you leave Classic Chariots with a smile on your face. When you get a used car near Camp Pendleton from Classic Chariots, you’re getting so much more than just a new-to-you vehicle; you’re getting a new family of automotive experts who are always on your side. Visit us today at 1611 West Vista Way! We can’t wait to see you!